If you sell for a living, and I could argue we all need to sell people on our ideas, this Blog will help you keep up with the latest persuasion techniques to help you influence more people, more profoundly and more easily. Subscribing to this Blog will allow you to easily keep up with the new ideas and techniques I add to the site without having to wade through the tons of emails you get on a daily basis. To subscribe to my blog (no e-mail necessary), right-click on the small orange RSS button (see bottom buttons to the left) and then paste the URL into your RSS reader. Or click on the My Yahoo! button or My MSN or Add To Google button if you keep a personalized home page there. Continue reading "a really good objection response"
Continue reading "Mr Evan Peters"
Continue reading "Ezoic and sellingandpersuasiontechniques.com "
Continue reading "I am a Sales Consultant, not a Sales Man"
Continue reading "handling objections when selling in Uganda"
In this age we are constantly bombarded with information seeking our attention. How do we stay focused on selling despite the distraction ? Continue reading "selling despite distractions"
Continue reading "never assume when selling"
What are the attitudes, thought processes and beliefs of successful sellers ? Continue reading "Successful Seller Characteristics"
Continue reading "What is Agreement Frame .. suggestions on selling models"
Continue reading " life insurance"
Continue reading "Sales Manager - Richard"
Continue reading "The process is the same but the market has changed." Continue reading " RADIO SALES EXPERT"
Continue reading "Selling to existing customers"
Sales Listening and Questioning are critical in selling. Continue reading "Sales Listening and Questions"
Continue reading "Getting people to see my offer and then committ"
You can buy the inside info on how to speak so people will buy from you. 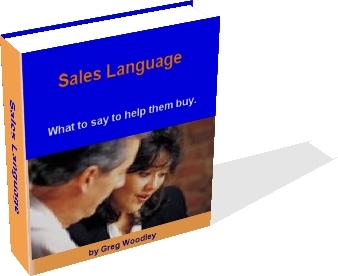 Continue reading "Sales Language Selling"
Continue reading "7 Steps to Responsive Customers"
Selling to a prospect as a unique individual using Personal Persuasion Psychology. Continue reading " Personal Persuasion Psychology can Multiply Your Sales"
Inside info on how to use influence and persuasion to get people to buy from you. Continue reading "Influence and Persuasion"
Continue reading "Objection handling, Negotiation and Rapport"
Continue reading "Creating Excitement on a Cold Call and Following Up"
Selling during tough times, can YOU do it ? How ? A story about my dealings with a notoriously tough buyers. Sales 007, what would 007 do to ensure Sales Success in 2007 ? One of the most common sales stalls is "I need to speak to.."
This persuasion article offers Ten things you dont say in a sales meeting. Continue reading "Persuasion Article No38"
Your beliefs affect your sales results. 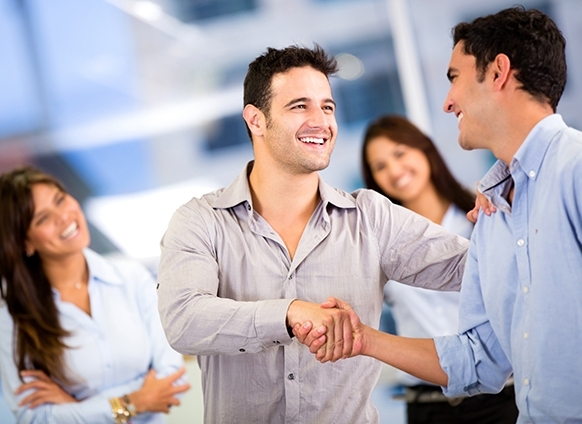 Continue reading "Beliefs and Sales"
How to ask your prospect about their sales needs or wants ? Continue reading "Sales Needs v Wants 2"
Better to ask your prospect about their sales needs or wants ? Continue reading "Sales Needs v Wants"
Boost your sales using commitment and consistency. Continue reading "Sales: Commitment and Consistency"
Sales school, go back to elementary school to learn that some language can be very persuasive. What is our sales focus do we pay attention to the clock or the speedo. Continue reading "persuasion article No28"
Persuasion article No27 suggest that success comes in cans..all the things you can do. Continue reading "persuasion article No27"
Persuasion article No26 relates a story from my sales career about an irate customer and how I dealt with it. Continue reading "persuasion article No26"
Sales mistakes my opinion of 10 biggest mistakes you can make in selling.